This outstanding example of a 2019 Mercedes-Benz AMG GLE 63 S 4MATIC Coupe is offered by Mercedes-Benz of Scottsdale. This Mercedes-Benz includes: AIR IONIZATION W/AIR FILTER NIGHT PACKAGE AMG PERFORMANCE EXHAUST SYSTEM BLACK W/GREY STITCHING, EXCLUSIVE NAPPA LEATHER UPHOLSTERY Leather Seats PREMIUM 3 PACKAGE Lane Departure Warning Lane Keeping Assist Brake Assist Adaptive Cruise Control Blind Spot Monitor BRUSHED ALUMINUM ILLUMINATED RUNNING BOARDS Running Boards/Side Steps REAR SEAT ENTERTAINMENT PRE-WIRING OBSIDIAN BLACK METALLIC TRAILER HITCH Tow Hitch HEATED REAR SEATS Heated Rear Seat(s) *Note - For third party subscriptions or services, please contact the dealer for more information. * Want more room? Want more style? This Mercedes-Benz GLE is the vehicle for you. You deserve a vehicle designed for higher expectations. This Mercedes-Benz GLE delivers with a luxurious, well-appointed interior and world-class engineering. All-wheel drive means peace of mind all the time. This Obsidian Black Metallic AWD Mercedes-Benz enjoys a host offeatures, including exceptional acceleration and superior stability so you can drive with confidence. Marked by excellent quality and features with unmistakable refined leather interior that added value and class to the Mercedes-Benz GLE Put away your phone and focus on the road, your new vehicle has navigation. This 2019 Mercedes-Benz GLE AMG GLE 63 S is proudly offered by Mercedes-Benz of Scottsdale Want more room? Want more style? This Mercedes-Benz GLE is the vehicle for you. Pull up in the vehicle and the valet will want to parked on the front row. 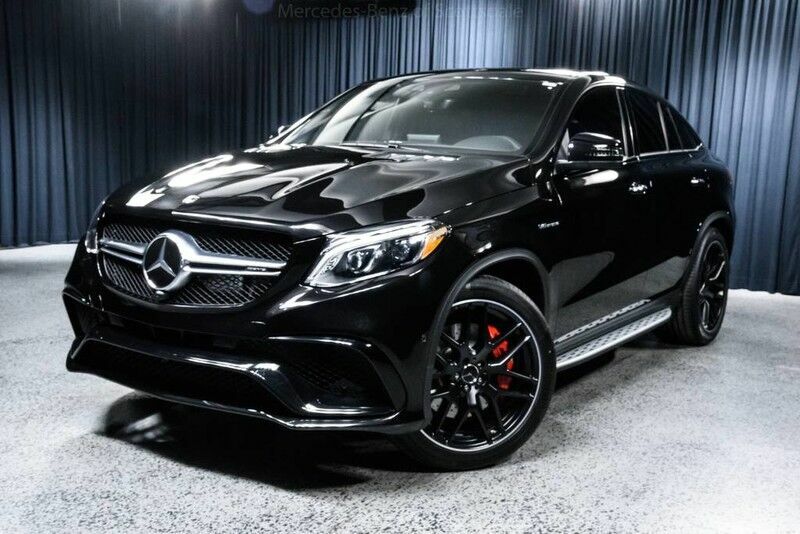 This Mercedes-Benz GLE is the vehicle others dream to own. Don't miss your chance to make it your new ride. Simply put, this all wheel drive vehicle is engineered with higher standards. Enjoy improved steering, superior acceleration, and increased stability and safety while driving this AWD Mercedes-BenzGLE AMG GLE 63 S. You could keep looking, but why? You've found the perfect vehicle right here.